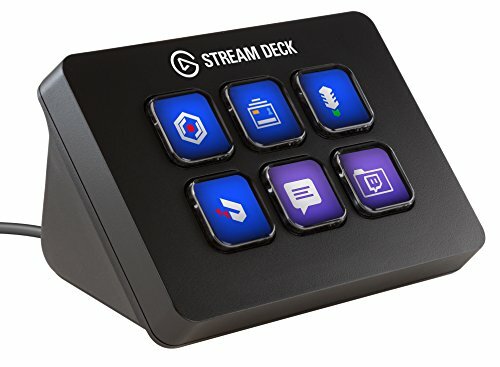 Elgato Stream Deck Mini - Live Content Creation Controller with 6 Customizable LCD Keys, for Windows 10 and macOS 10.11 or Later | Replicafer Co. Stream Deck Mini puts 6 fully customizable LCD keys at your fingertips. All poised to trigger unlimited actions upon a single tap. All primed to give you instant visual feedback. All so you can take control, maximize your production value, and focus on what matters most: your audience.